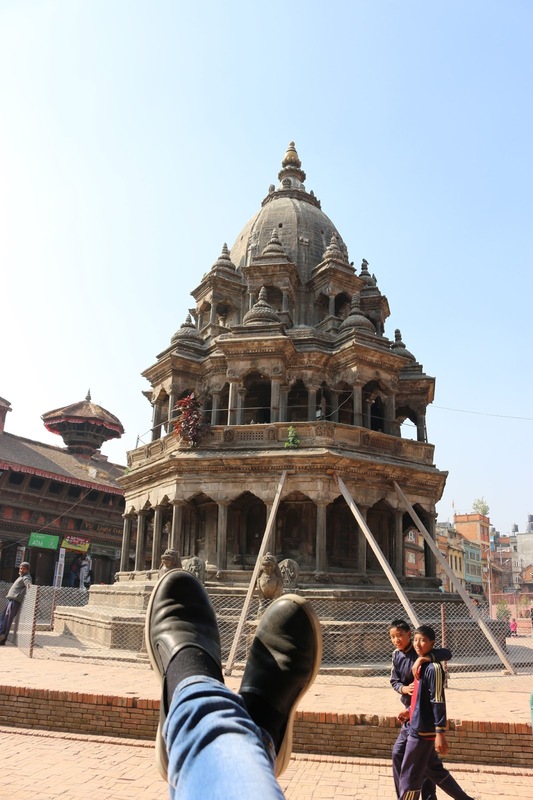 Travel with Funk (by FunkyOzzi): Is Kathmandu worth visiting for 4 days? Yep and here are 8 tips! 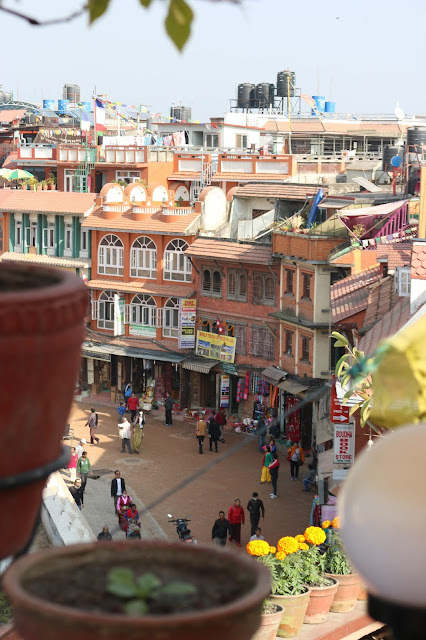 Is Kathmandu worth visiting for 4 days? Yep and here are 8 tips! "Don't go to Kathmandu", they said. "Kathmandu is noisy, polluted and overwhelming". People will never know what your current mood is, what you're aiming for and what kind of experience you're looking for out of your travels. 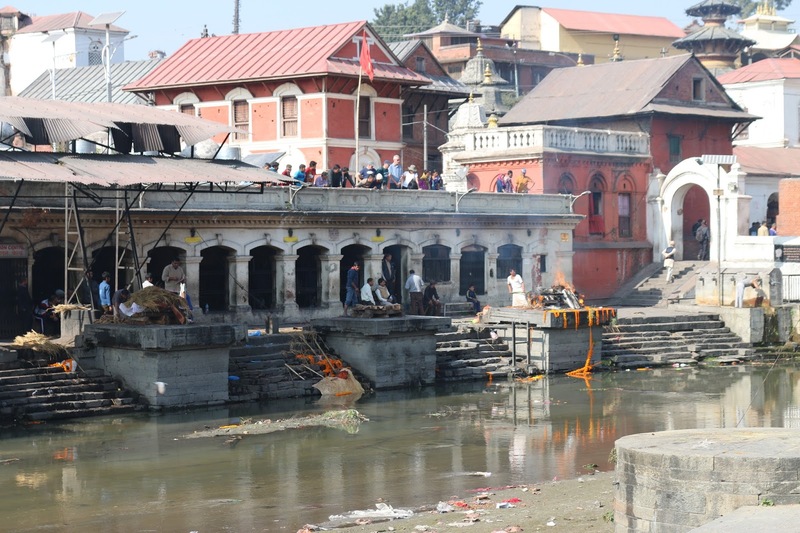 If you want tourism, 5 star luxury, relaxation, then don't go to Kathmandu. But if you want to feel alive again... then do read my tips to make your time in Kathmandu well spent and efficient. It was definitely one of the best trips I have ever done. Tip #1: Which seat on the plane for best view of the Himalayas while landing? 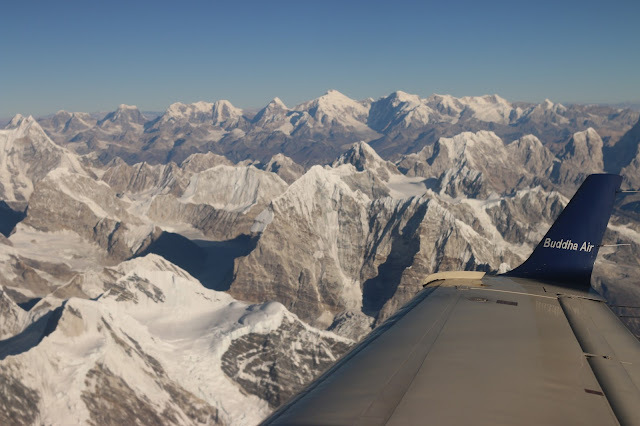 If you're coming from the west, best to sit on the left window seat. When you do, you get a view like this (55mm lens). Tip #2: Where best to convert money to Nepali Rupee? Credit card or cash? Do the exchange definitely in Nepal, in Kathmandu airport or if you can wait, in the city. Much better rate. Why? Because they need the cash. And that answers the second question as well (bring cash). 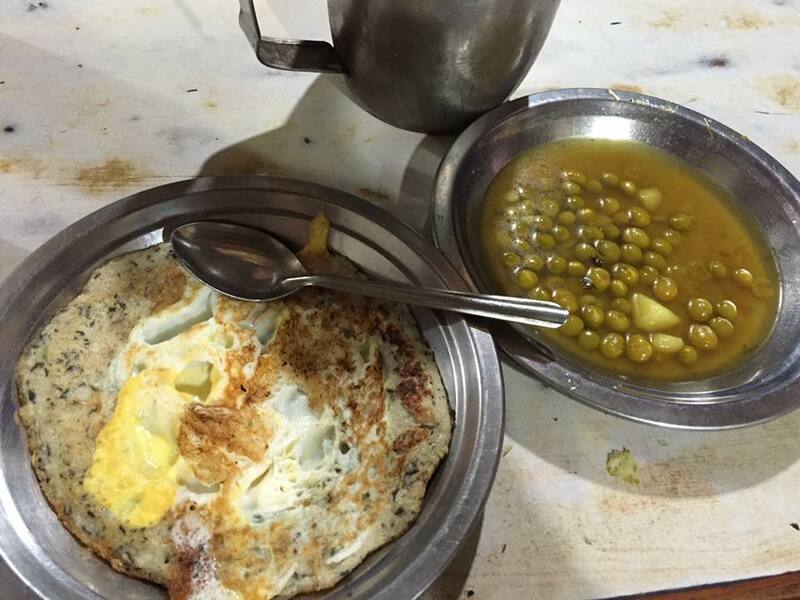 Tip #3: How much money to take for 4 days in Kathmandu? Hotel lodging nowadays is around 35$ per night. 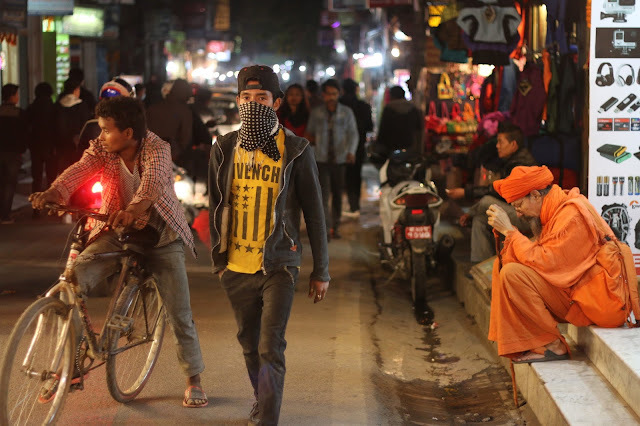 It's low season, and it hasn't picked up since the earthquake and recent Indian border blockade, causing serious petrol shortage in Nepal with overnight queues to fill gas at petrol stations. Also, expect some power outage in your hotel. On the kind of bright side and because of the tough tourism season, you might get a free airport pickup as well. The plane trip over the Himalayas costs around 200-250$ + airport transfer and back = 20$. City tour guide (worth it, read below about it), is around 75$ for the taxi, driver and the guide. In addition to this, you will be paying entrances totaling 20$. If you wish to go to Bhaktapur (must do, more about it below), if you take a taxi + driver, it will be 80$, you can get a guide on the spot for 5$. Reason behind expensive taxis is the petrol shortage, will tell you everything about it in a bit. Other than that, food is super cheap, we are talking 3-4$ a meal. And if you like bringing back souvenirs and gifts from your travels, that's a whole different subject. So up to you really, either pay for hotel and food, or make the best of it and live your life! You can always take buses instead of taxis, if you have enough time to plan it. Should you do it: Yes, HELL YES! They even let you in the cockpit. You can book this online and possibly save, only issue is, you need to know when visibility is going to be clear, thus why you need to book close to the date. Should you do it: Yes! If you enjoy learning about religion (Hindu and Buddhism), temples, tradition, history and culture of the country and the capital. It's a definite YES. Should you get a guide: Of course. Without a guide you will be missing on a lot of details that you won't be able to catch on your own, and with no guide, you might find the tour to be "meh". The Taxi + Taxi driver cost me 55$ (because of petrol shortage), hiring a guide cost me only 20$. And if there's 2 or 3 of you, that's quite a very good deal. 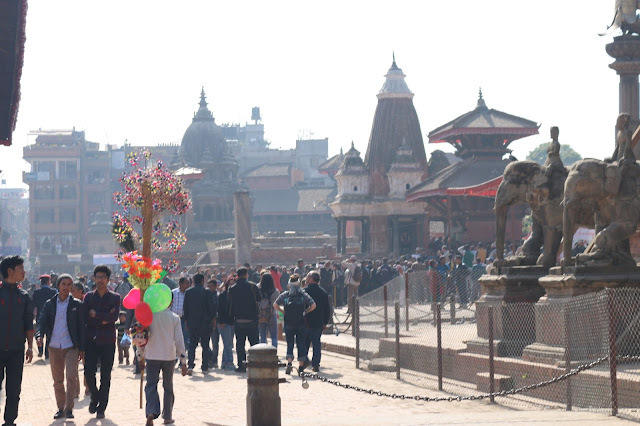 Kathmandu on its own has 7 out of 10 UNESCO World Heritage sites. 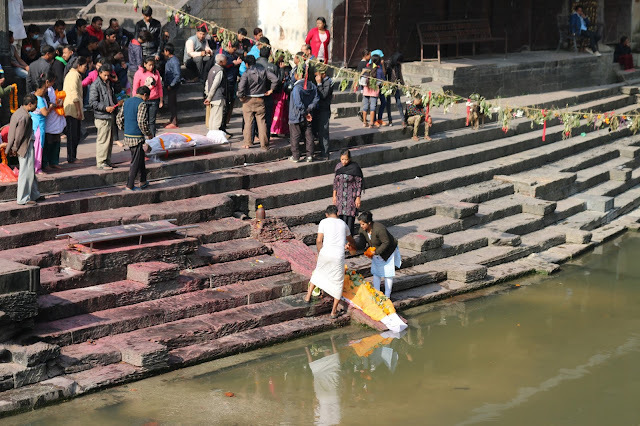 A bit of a strange "site seeing" kind of tour, but the guide will take you to Pashupatinath Temple to observe a Hindu funeral, this is the first step of the process. You will feel in awe for the dead and their families. A lot to observe, learn and respect. This is the third phase of the funeral, which is the cremation. Usually carried out by the deceased's eldest son. I won't tell you about it, because if you do go, it's definitely something worth learning about and listening to as it will make you realize a lot of things and ponder about the way Hindus see death (and rebirth). 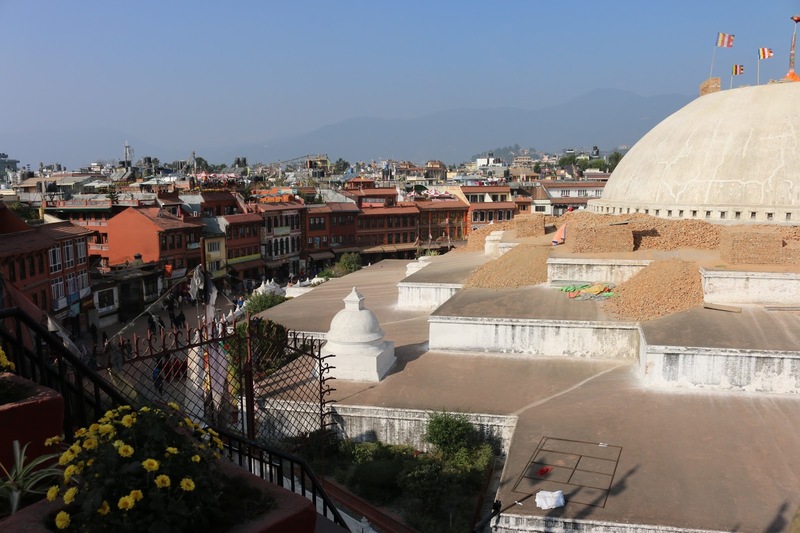 Half of Boudhanath - Kathmandu. 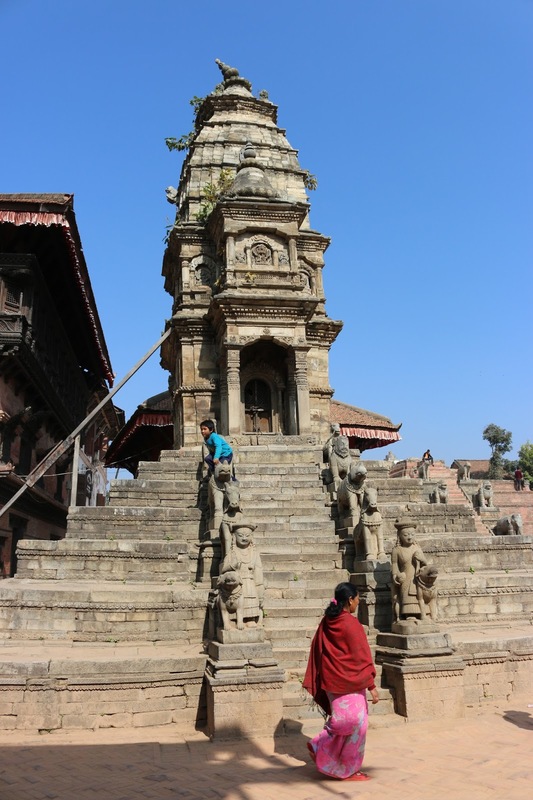 One of the largest spherical stupas (temples) in Nepal. The people go around it spinning the mantra (prayer) wheels for good Karma. It also has a lot of shops, so you can shop! Should you do it: WOAH YES! My favorite part of this trip. 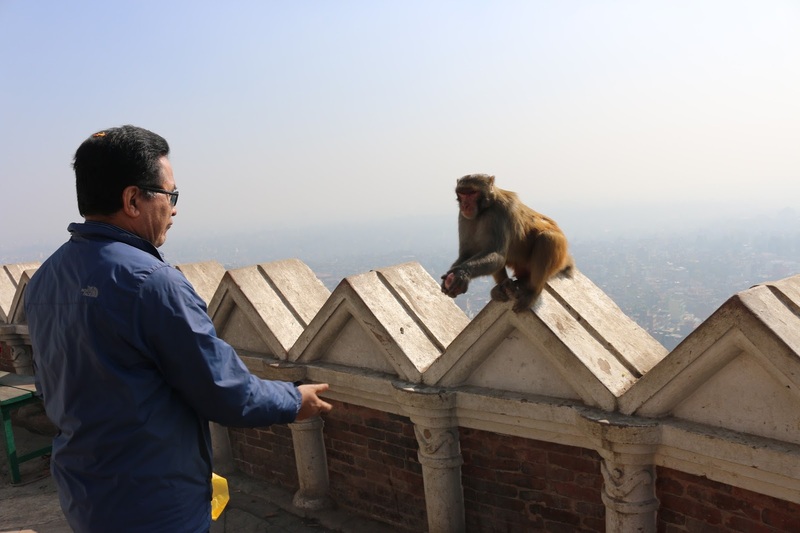 It's a 30 minutes trip out of Kathmandu, very few tourists, definitely a sense of the real Nepal. 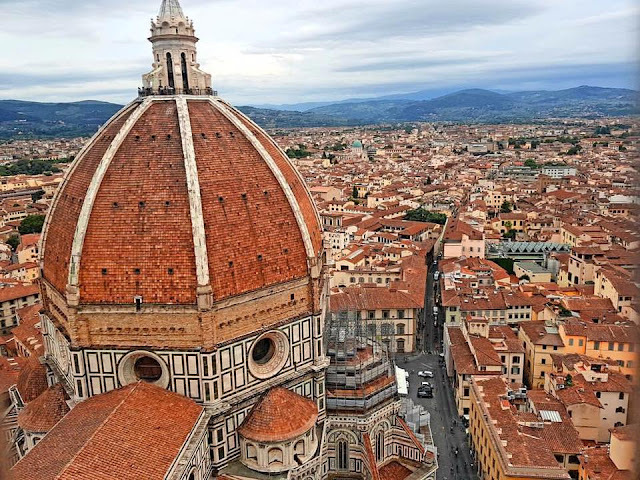 In this tour you will see almost everything within 2 hours. Should you get a guide: So entrance fee is 15$, and when there a dude (maybe it's Umes Sunar) will ask you if you want a guide, mine said he charges 5$ but I gave him double because he was so good and spent around 2 hours with me showing me things that no way in hell I would've been able to see on my own (one would totally get lost and I am really good with directions). 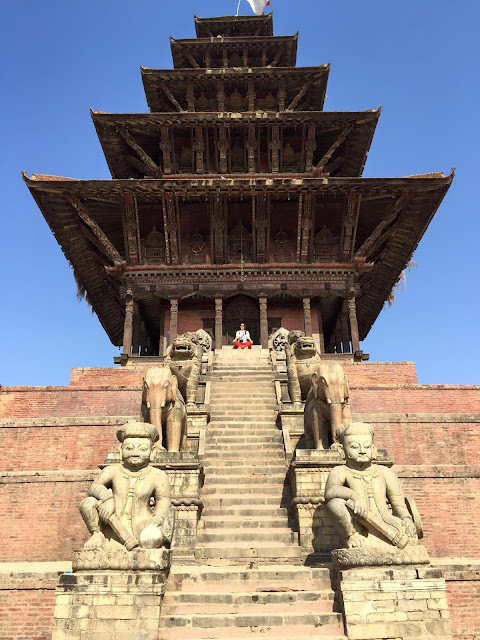 He showed me much more than the slightly touristic old city of Bhaktapur, he showed me the real life, real struggles, specially how they're dealing with the earthquake's aftermath. 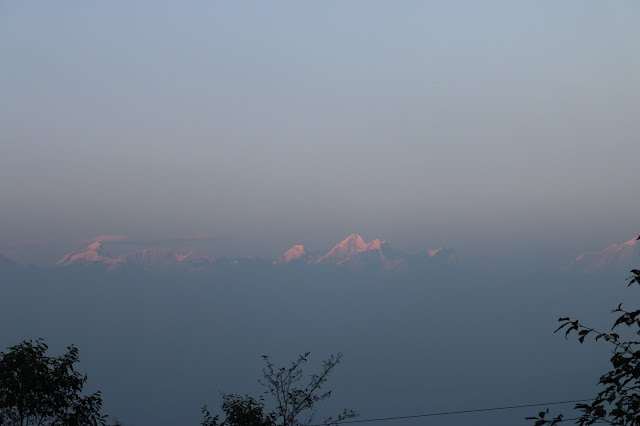 I would recommend you stick around for more, I wish I did that, but I was eager to get to Nagarkot for the sunset. Apparently Bhaktapur has more temples per square foot than Patan or Kathmandu. Nyatapola (literally means 5 pedestal layers) square. And that's me, quite lucky to get a photo on my own in Nyatapola Temple. 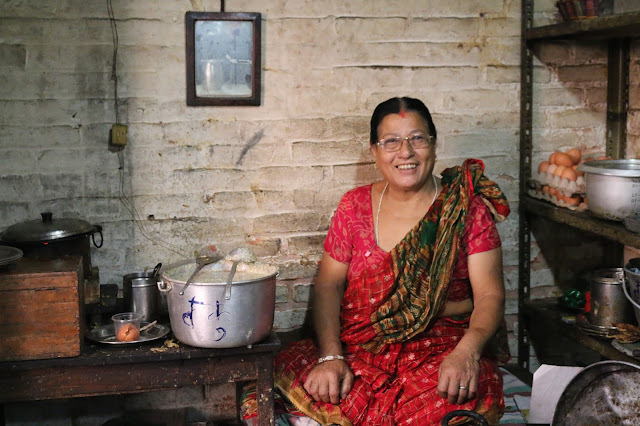 Meet the lady who cooked for me my favorite meal in the whole trip. 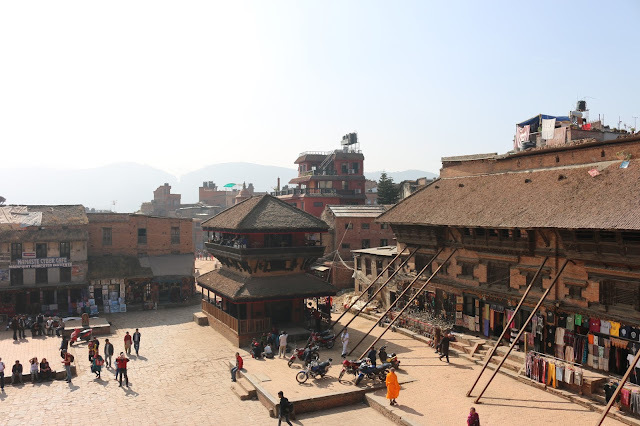 This is right beside Bhaktapur Durbar Square. 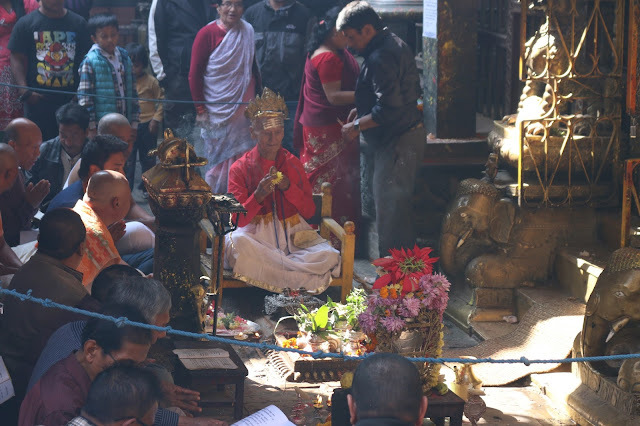 Should you do it: Well thing is, once you take the taxi and get out of Kathmandu, it's worth staying the day out and visiting Nagarkot. Ok, so what's Nagarkot? 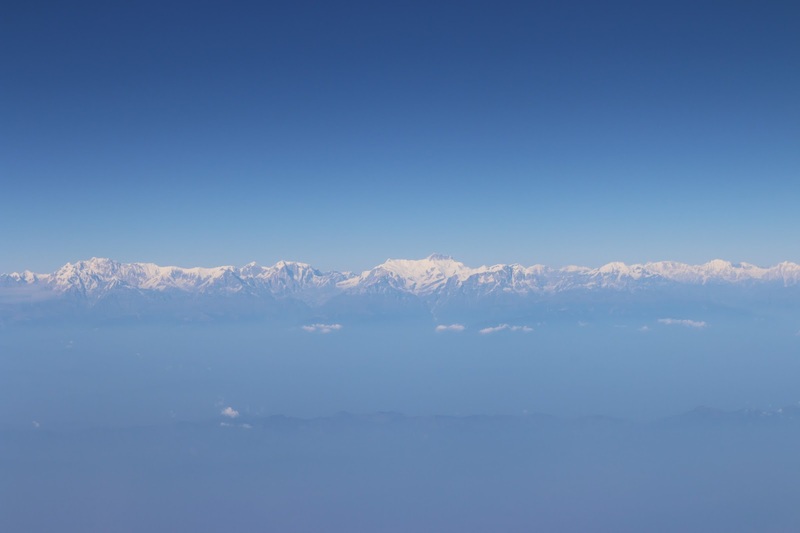 It's a village situated over 2100m above sea level with a panoramic view of the Himalayas. I stayed the night there in order to catch the sunrise behind the mountains, which according to everyone, it's majestic. Unfortunately, it got foggy towards 5AM just before sunrise. 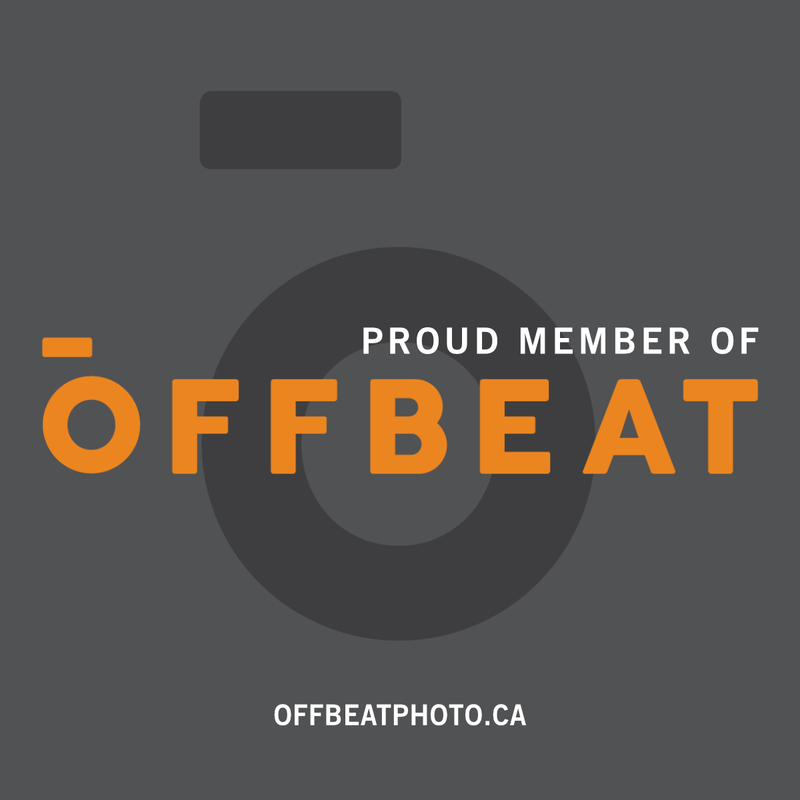 However, it's quite the romantic thing to do, or if you're into photography, this is something worth waiting for. Better yet to stay 2 nights maybe and double your chances. 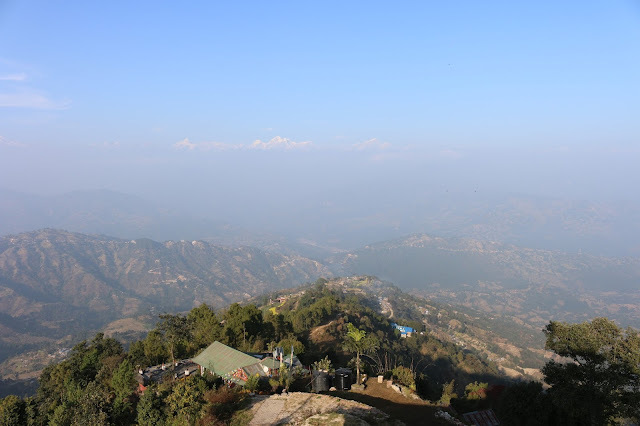 Another way to get to Nagarkot is by trekking. Here's more info about it here. 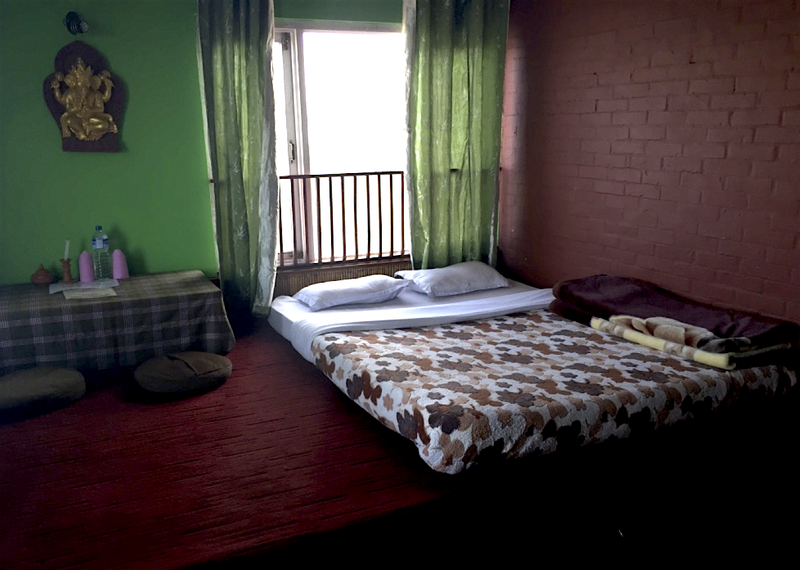 My hotel room in Nagarkot, super cozy! A good trick would be to stay in Thamel area, which is quite busy and touristic, but has restaurants with edible food, live music, a lot of shops. 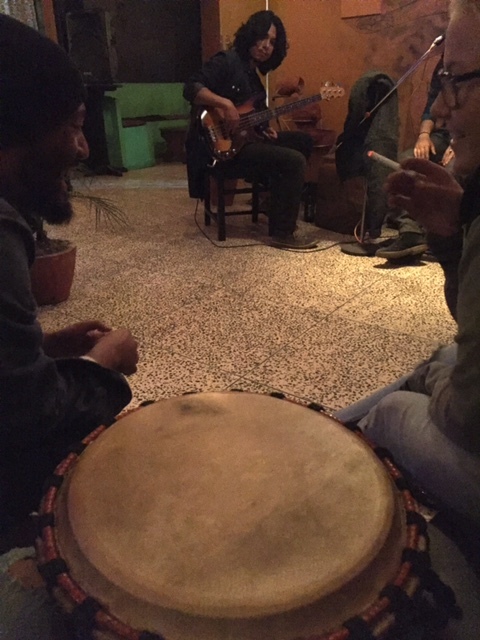 I, luckily, ended up having dinner in a restaurant where the band was quite nice, jamming with a Syrian rapper, then I joined them for a bit of percussion. The place is called De La Soul and I had a super nice time there. Funny part is, I am not a percussionist. But they welcomed me with an open heart! Look out for Thanka art (Cotton pain, mostly Mandalas and meditation art). Here's a video. Look at the wooden carved doors of the temples, they are jaw dropping. Here's a photo. Singing bowls (helps with meditation and healing) are quite amazing. Here's a video. If you have any questions, please leave a comment here or on my facebook page or instagram. Happy to get back to you!